"Nowadays, an artist is someone who makes art mean the things he does." 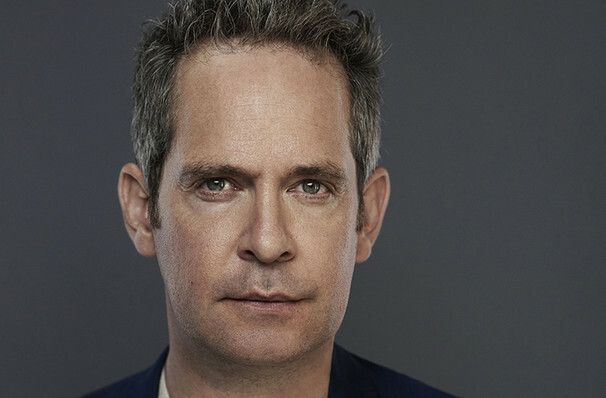 The marvelous and magnetic Tom Hollander helms the first major revival of Tom Stoppard's quixotic Travesties, opening at the Menier Chocolate Factory this September, 20 years after it was last seen in London. Told through the fog of memory, Travesties follows the unremarkable Henry Carr as he meets some of the early 20th centuries most influential figures in World War One era Zurich. With the typicality of a Stoppard play as feared by drama students throughout the land, witty repartee, farcical world play and good-old fashioned comedy are braided together to form a very clever meditation on art, war, and politics, and what the devil they all MEAN. This production will transfer to the Apollo Theatre from February 14th, 2017. Click here to see more details and book tickets. 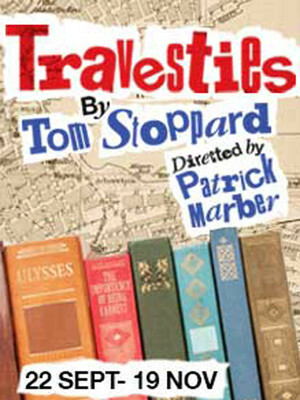 Based on the true experiences if consular clerk Henry Carr, Travesties introduces us to three famed residents of the city, modernist James Joyce pre-Ulysses, Tristan Tzara the Dadaist and Lenin before the Revolution. Told through the production of The Importance of Being Earnest they meet on, this fictional meeting becomes an intricate web, battling misunderstandings and mistaken identities whilst asking complex questions. As Henry reminisces he comes to realise his mind is an unreliable narrator, laying out his memories and perceptions in a labyrinth as philosophy battles whimsy at every turn. Sound good to you? Share this page on social media and let your friends know about Travesties at Menier Chocolate Factory. Please note: The term Menier Chocolate Factory and/or Travesties as well as all associated graphics, logos, and/or other trademarks, tradenames or copyrights are the property of the Menier Chocolate Factory and/or Travesties and are used herein for factual descriptive purposes only. We are in no way associated with or authorized by the Menier Chocolate Factory and/or Travesties and neither that entity nor any of its affiliates have licensed or endorsed us to sell tickets, goods and or services in conjunction with their events.